Many Americans moving to London are confused by all the London neighborhoods and the contradicting advice given in regards to London neighborhoods. It seems that everyone asked has a different opinion as to the quality and value in a particular location. 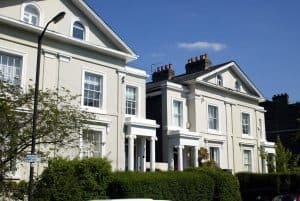 The Borough of Kensington and Chelsea is very popular with American expats making Earl’s Court flats a good choice when making a short list of possible neighborhoods to move into. Located between Kensington and Chelsea the small neighborhood of Earl’s Court has a history of being popular with expats. Originally Earl’s Court was all green space, a rural area outside of the city of London and popular with the royalty. During the twentieth century, however, Earl’s Court became popular with quite a different crowd. During that time Australian and New Zealand expats took over the small neighborhood due to its close proximity to the city and relatively cheap housing options giving the neighborhood the nickname Kangaroo Valley. As gentrification of the area grew in force driving housing prices sky-high the Aussie expat crowd moved on to less expensive pastures. Today, Earl’s Court is one of the most lovely neighborhoods in a highly sought after part of London. Multi-million-pound homes and apartments line the streets in buildings of impressive architectural significance. Perhaps the most important development over the last one hundred years and puts Earl’s Court on the London neighborhoods map is the construction of the Earl’s Court Exhibition Centre. The largest center in the city the Earl’s Court Exhibition Center has staged very impressive acts from Pink Floyd to the Rolling Stones. During the 2012 Olympic Games which will be held in London, the Centre will house the volleyball tournament. Although Earl’s Court may not be at the top of the popular lists of must-see neighborhoods for Americans moving here it should be strongly considered. With its beautiful homes and central location near many major parks (like Kensington Park) and Tube Stations Earl’s Court is an ideal London location. Before eliminating smaller neighborhoods such as Earl’s Court walk the streets and give them a chance to shine.